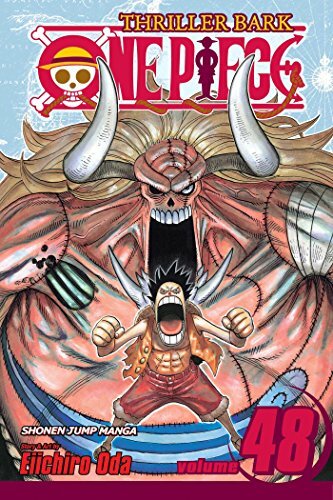 Synopsis: The Straw Hats rush back into Thriller Bark in an all out battle with Gecko Moria's zombie generals. But Gecko Moria has saved the fearsome Oz, known for his legenday "Continent Creation." Have the Straw Hats finally met an opponent too powerful to beat? About the Author&colon; Eiichiro Oda debuted in Weekly Shonen Jump in 1997 as a comic creator and artist with ONE PIECE. One of the most popular comic artists in Japan today, Oda started out by winning the Hop Step Award (a monthly award given by Jump for amateur artists) as well as the esteemed Tezuka Award. His art style is reminiscent of Akira Toriyama, Sergio Aragones, and the movie Yellow Submarine.